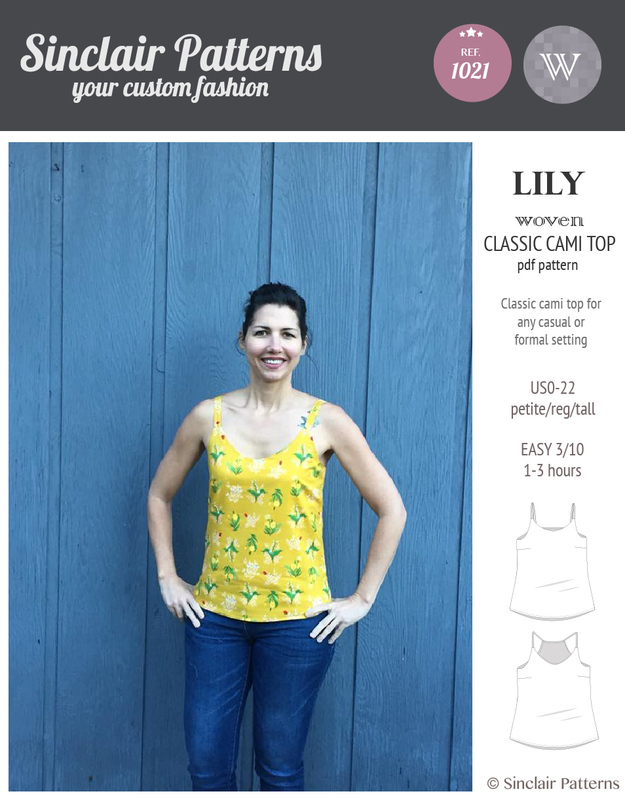 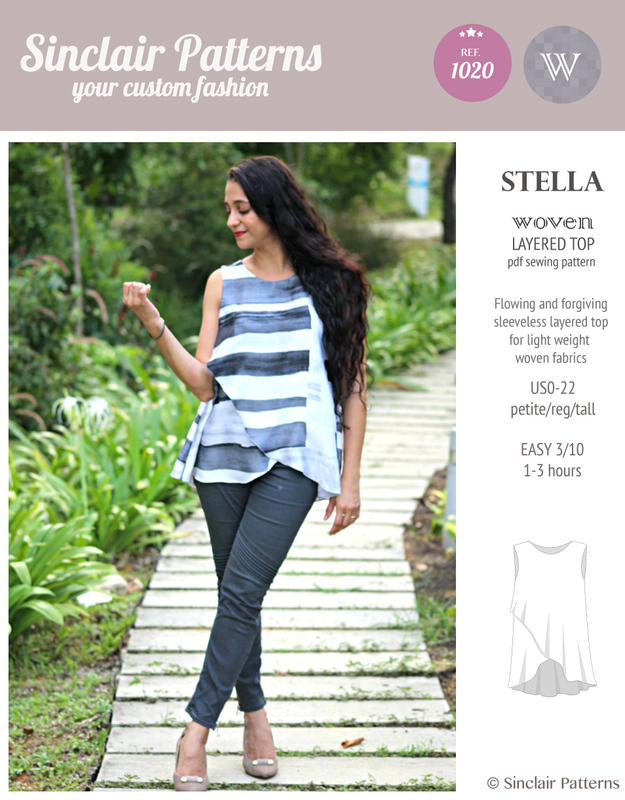 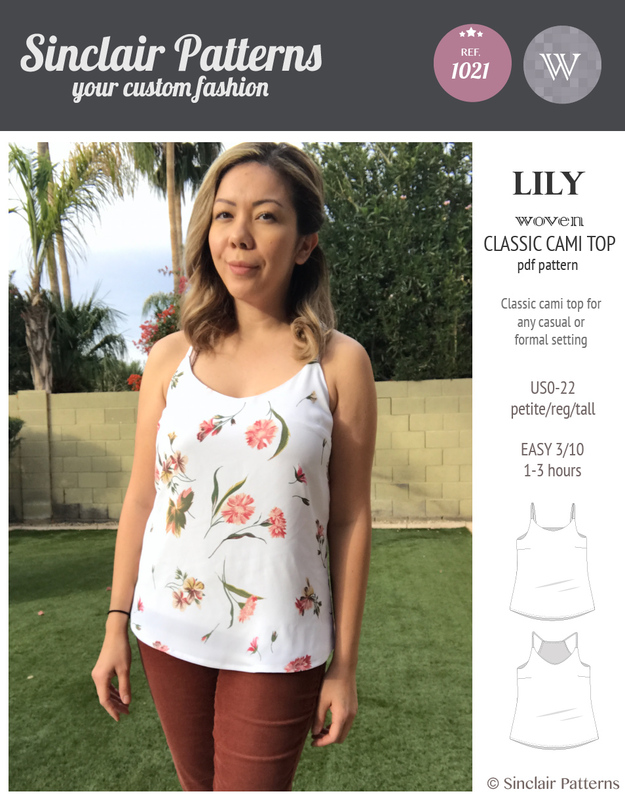 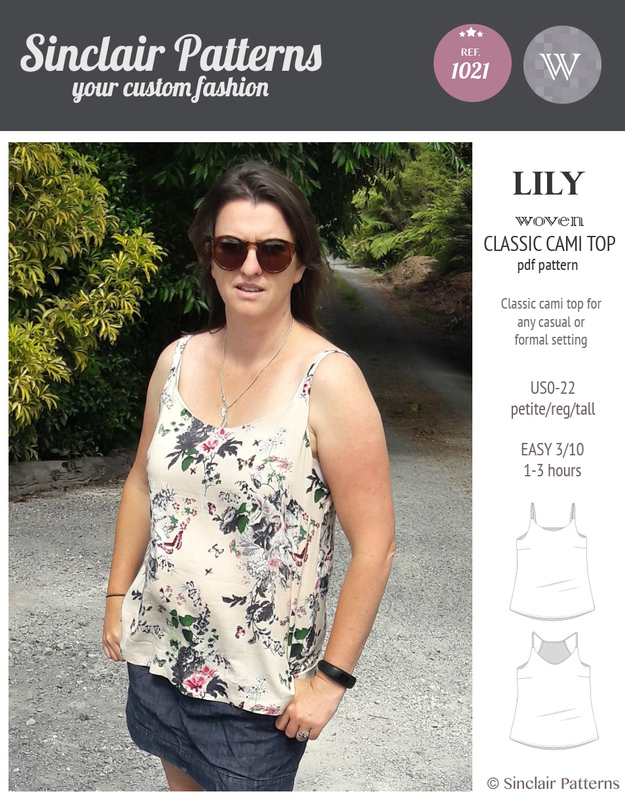 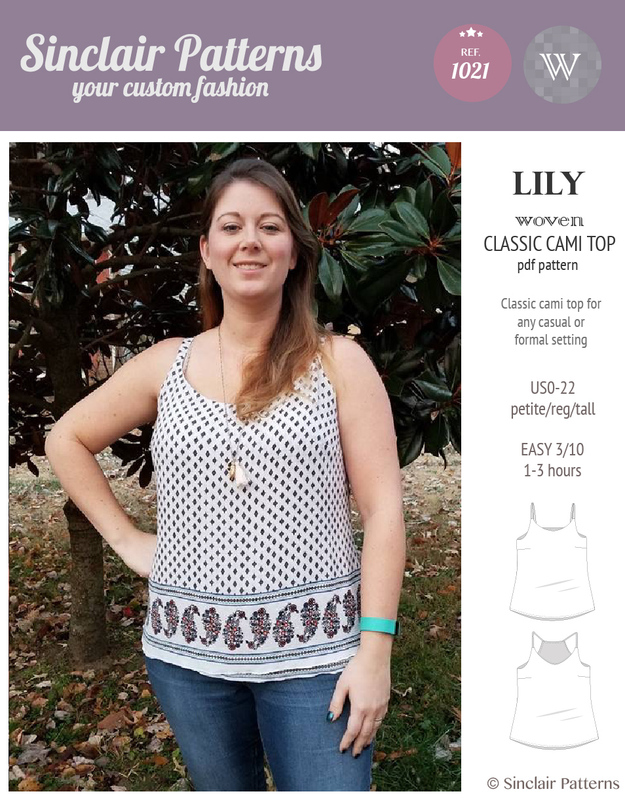 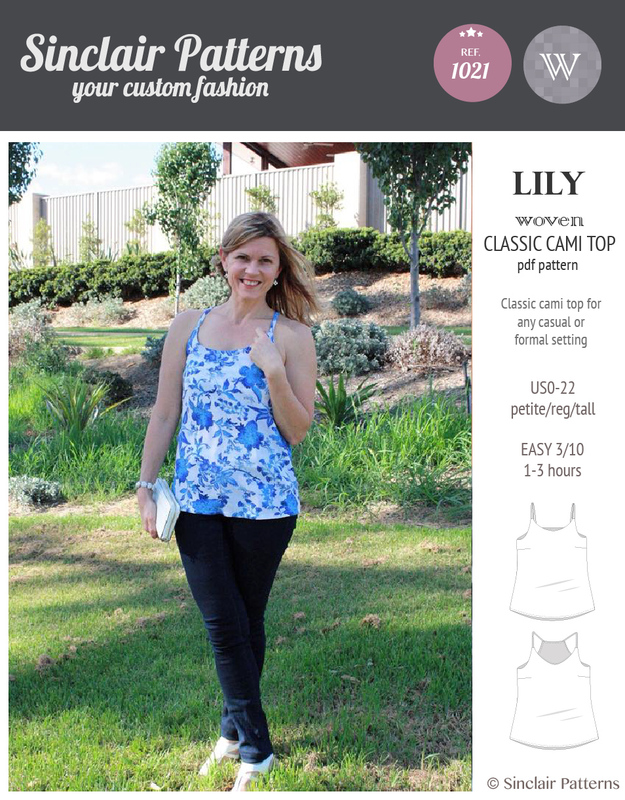 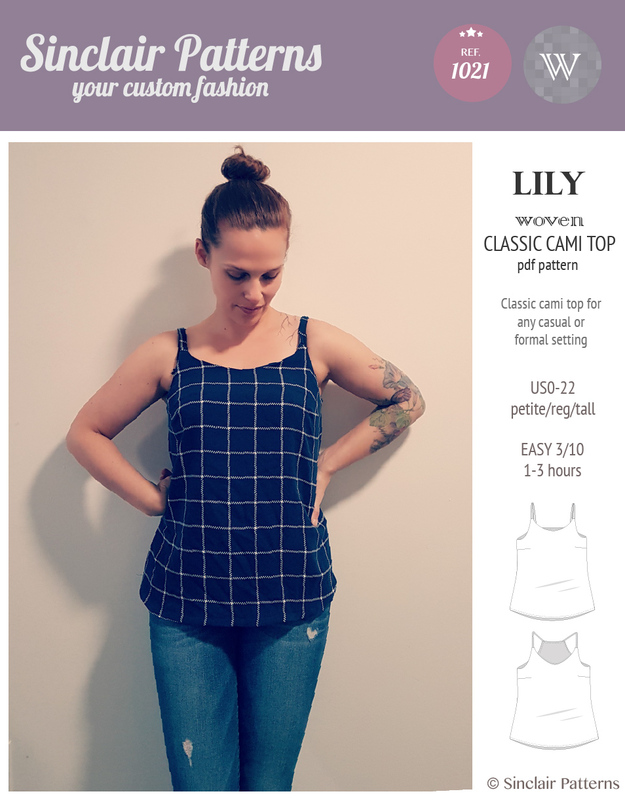 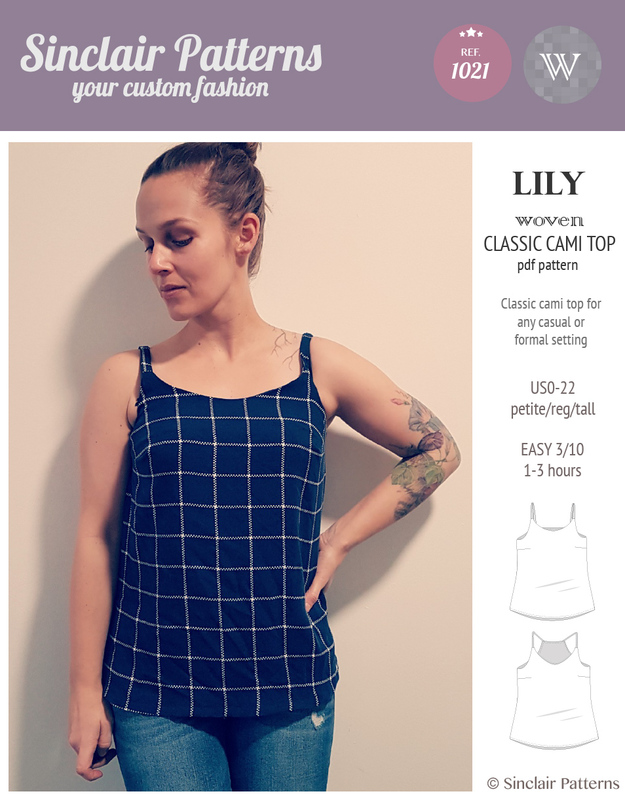 Featuring: Classic cami top for woven fabrics that can easily be worn to any casual or formal setting. 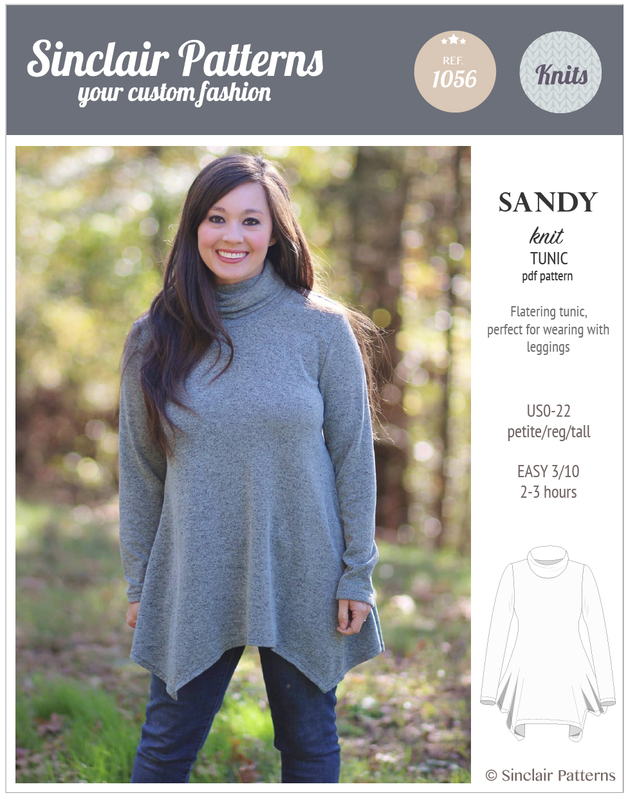 A staple in your wardrobe for any season. 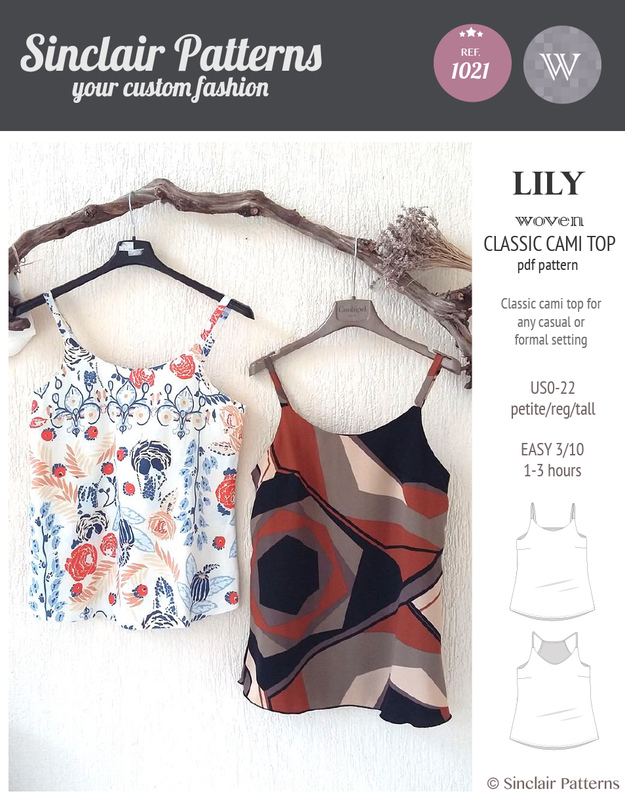 Offered in classic and fashion variations. 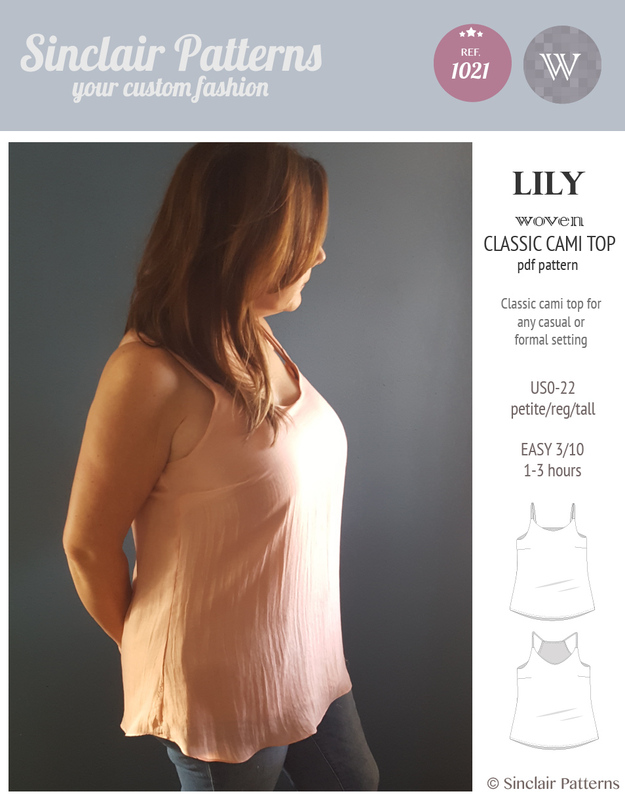 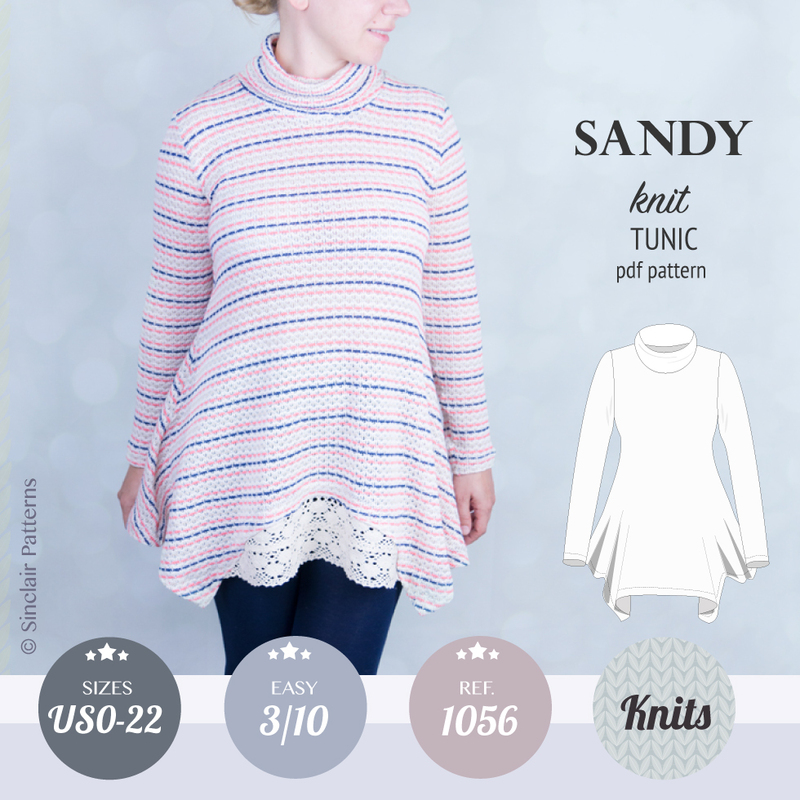 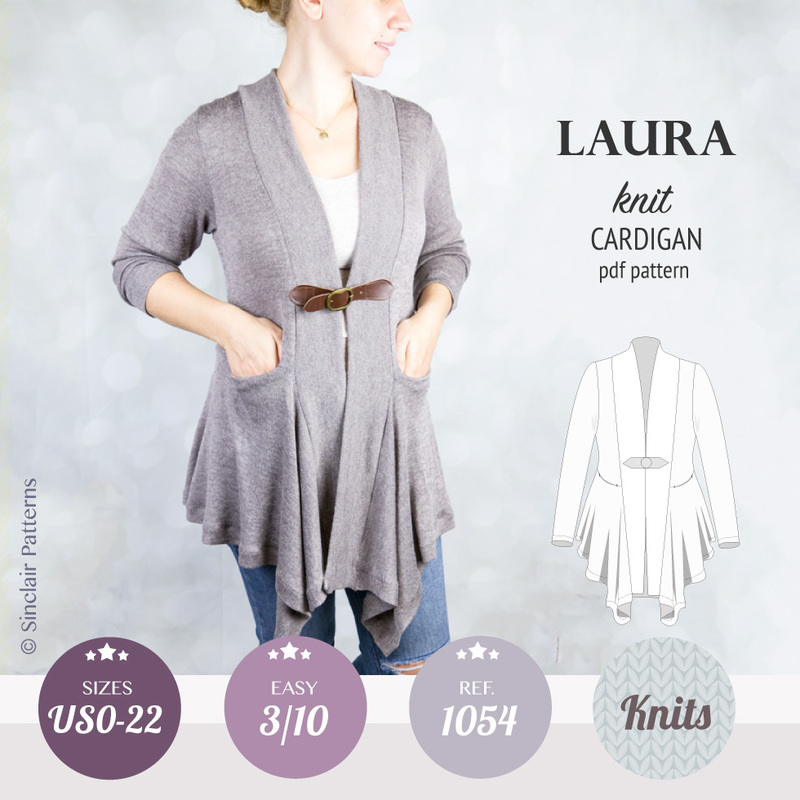 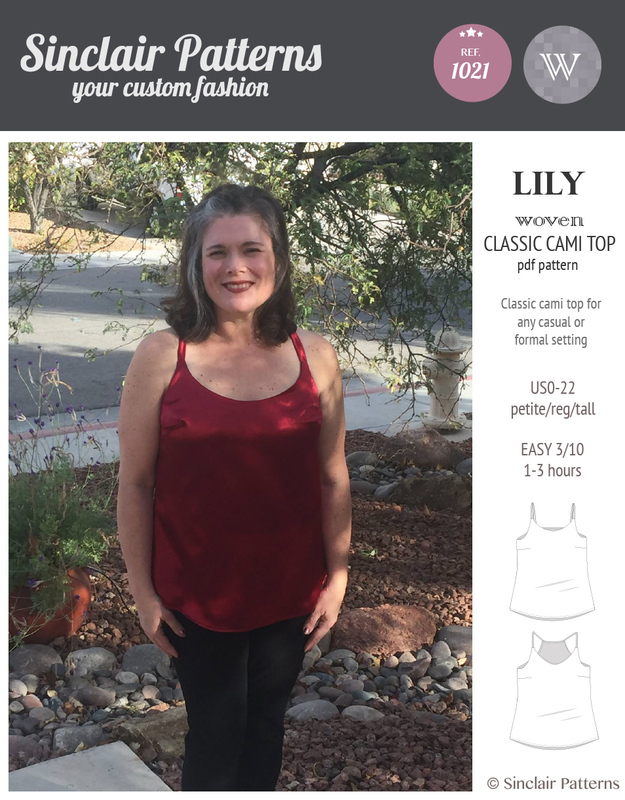 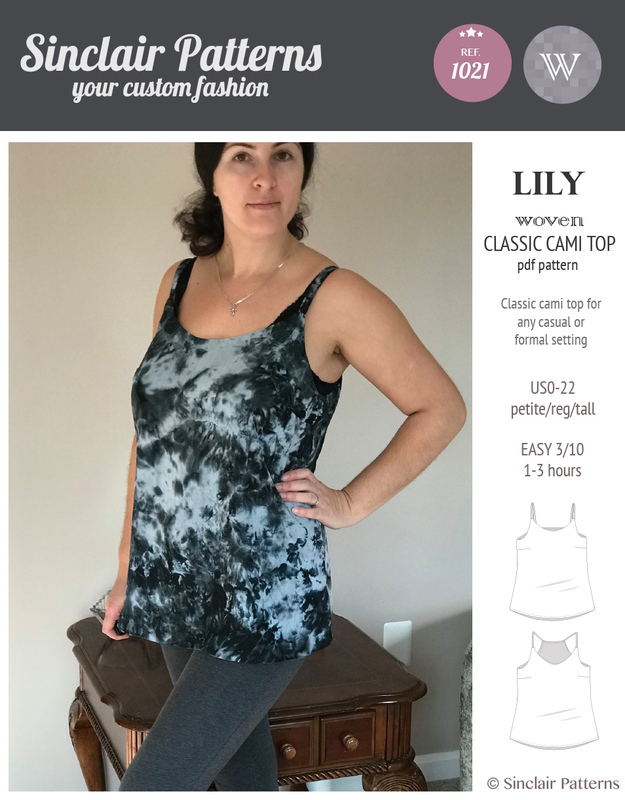 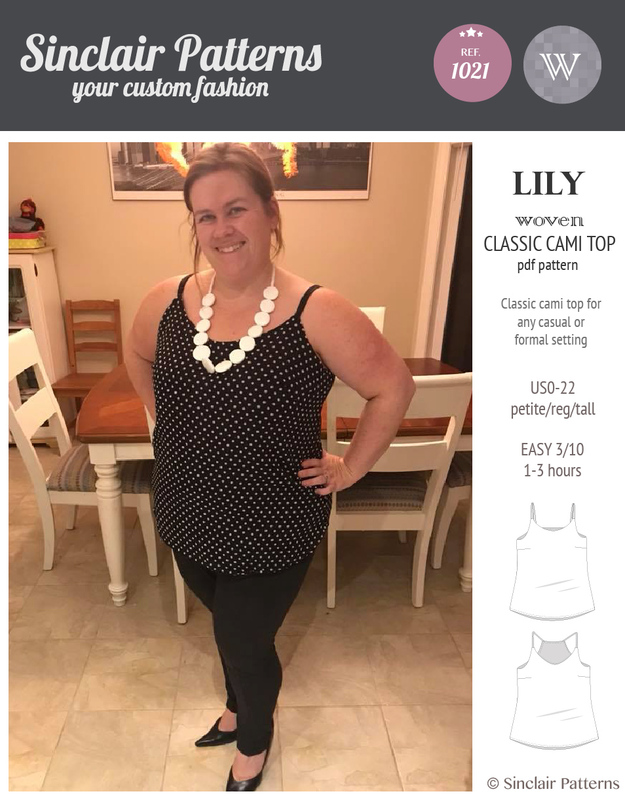 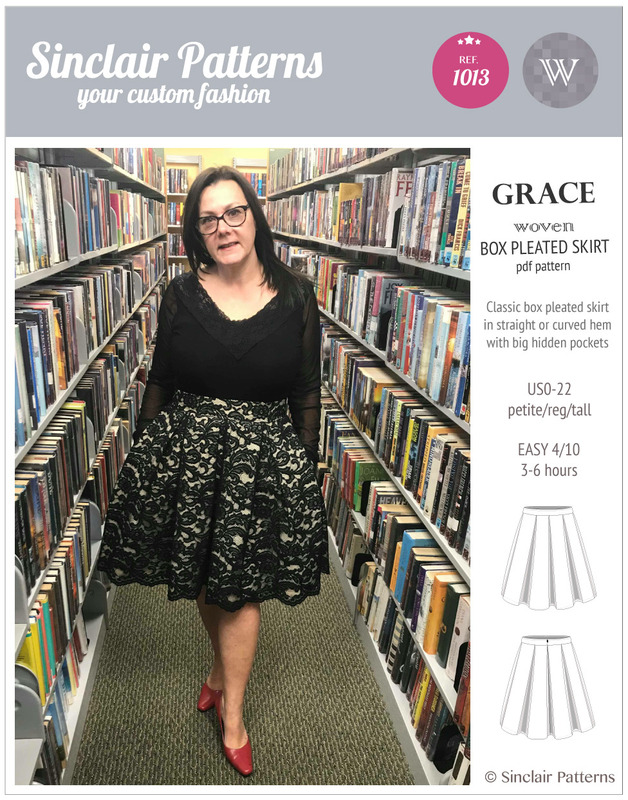 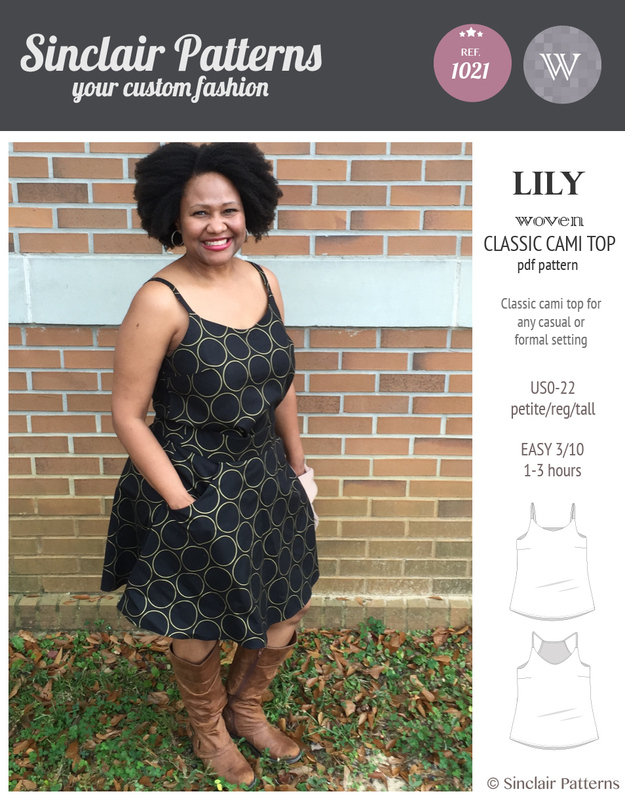 Very beginner friendly sewing project with a professionally finished garment. 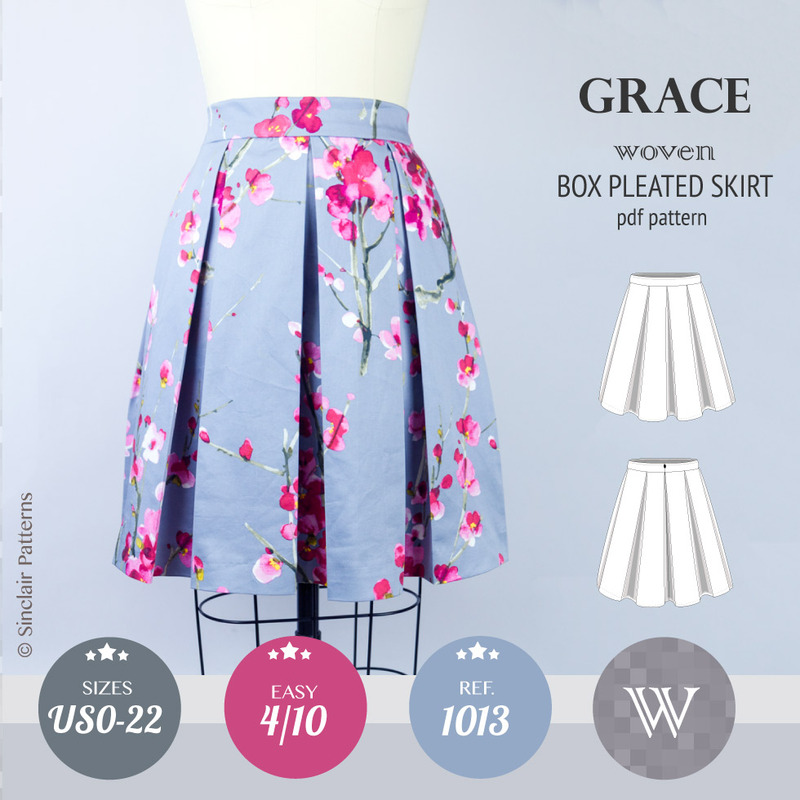 Comes with a detailed tutorial with step by step instructions and photos. 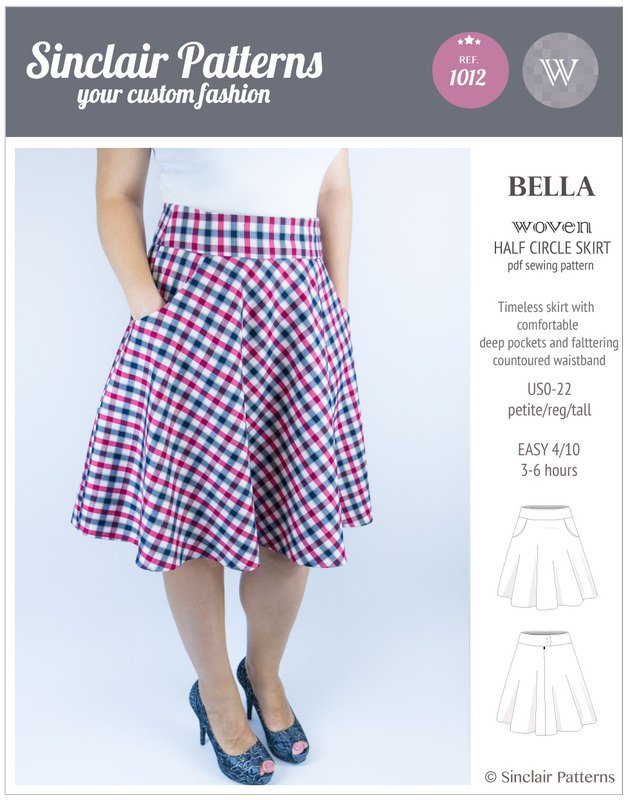 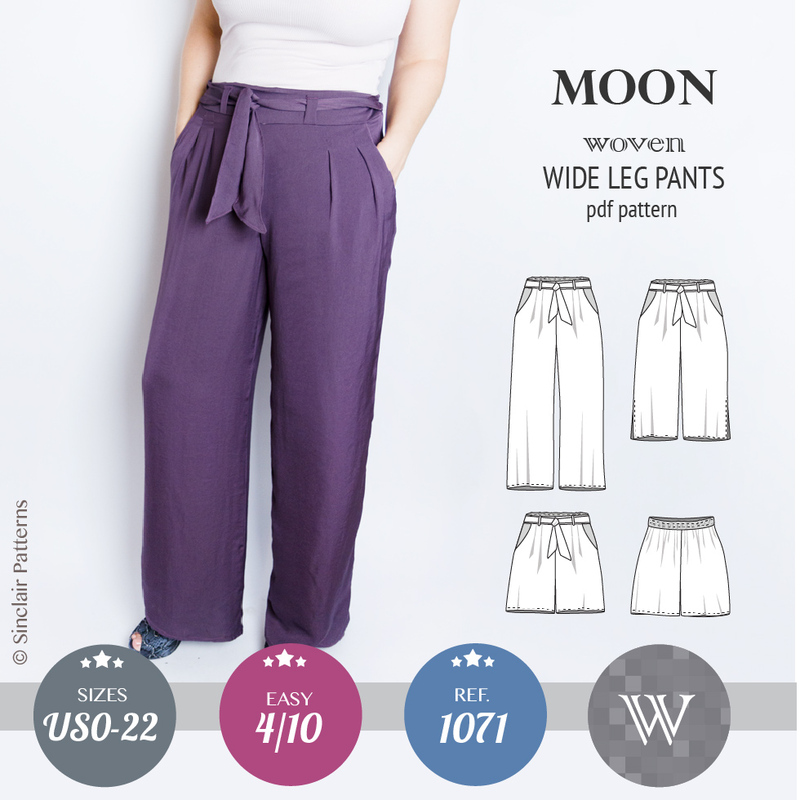 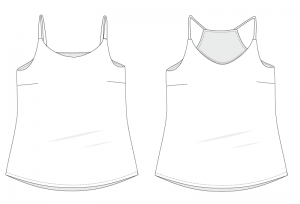 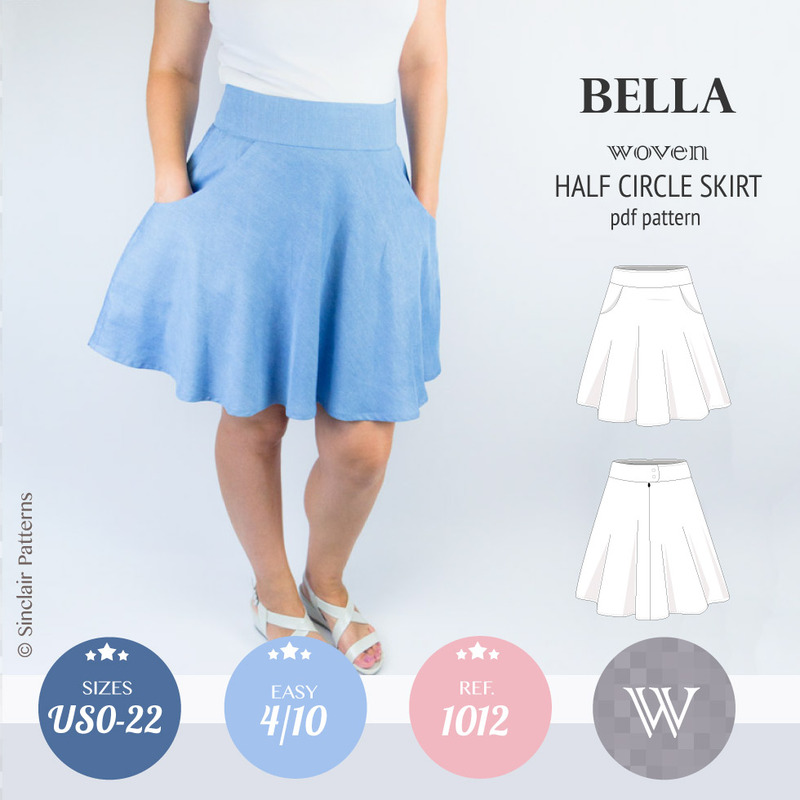 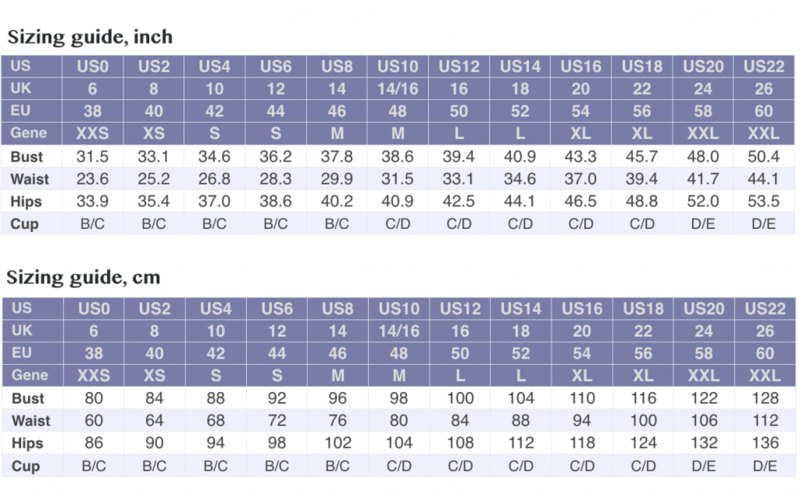 Each size comes as an individual pattern with additional 4 sizes (2 sizes up and 2 sized down).